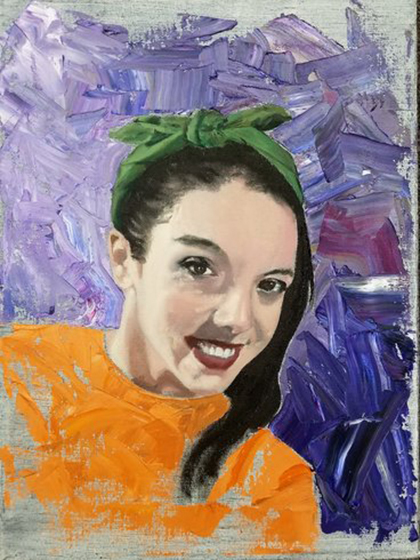 I am a 28 year old, self taught artist and Oil Painters of America Member currently living in Auburn, MA. I began painting in 2017 as a coping mechanism for my personal struggles. I have always been fascinated with human emotions and searching for a way to convey them to others. I am currently working primarily in oils and in constant search of ways to express the way I see the world into two dimensions. My style is constantly evolving and I tend to work in a fairly contemporary fashion with some works that are closer to traditional realism and others that lean more towards impressionistic with semi abstract qualities. I enjoy painting portraits, genre scenes as well as landscapes. Art has now become a regular part of my life and something that I want to share with the world. I am looking forward to meeting other local artists and exploring all that this area has to offer.